Daddytypes, that is. My friend J sent over a link to these wonderful plates . What a great way to entice kids to come to the table! Too bad they are only available in Europe at the moment. 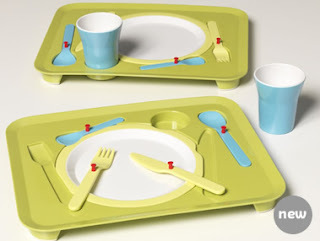 In the meantime you can console yourselves with our other favorites, the Trebimbi cutlery featured on Cocoa Crayon.